Good bathroom lighting is really important. 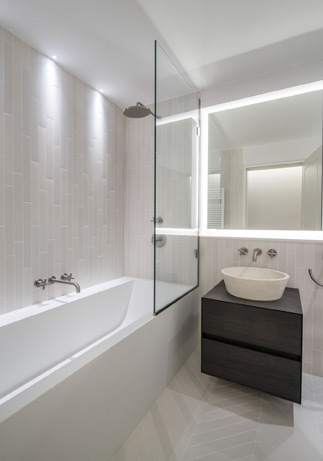 Great bathroom lighting design can change the way we feel and certainly improve our enjoyment of this sanctuary space. Here we list some if the things to consider when lighting your bathroom. Firstly, to ensure electrical safety there are very specific recommendations for the types of light fitting you can use in certain areas of a bathroom. A bathroom is split into different zones and these zones can require SELV (safety extra low voltage) and/or fittings within a certain ingress protection (IP rating) – IP ratings refer to how water-proof a light product is, refer to our IP rating blog here for more info on this. The zones are identified from 0-3 with zone 0 being the wettest. Requires an IP rating of IPX4 or better, OR extra low voltage (max 12v) with transformers located in zone 3 or beyond. If fittings are mains voltage (230V), such as GU10 downlights, a 30mA RCD must be used to protect the circuit. Requires an IP rating of IPX4 or better, OR extra low voltage (max 12v) with the transformer located in zone 3 or beyond. 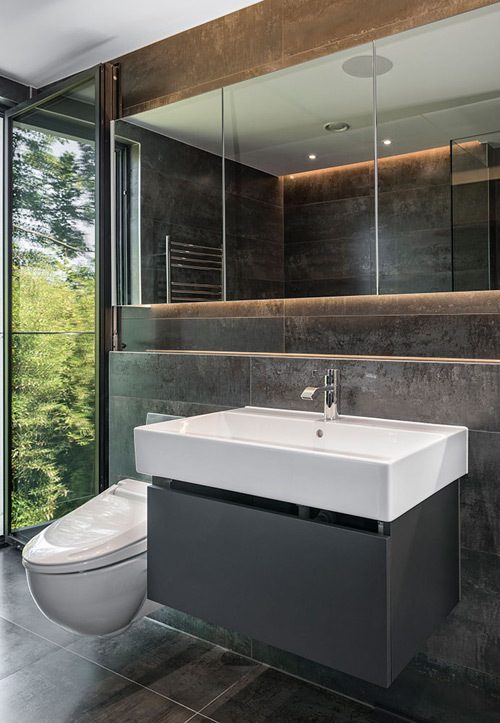 For amazing bathroom lighting design it’s important to consider the colour, quality, and quantity of light. Firstly, the lighting in your bathroom needs to be flexible. Of course you need bright light for cleaning and grooming, but you also need soft relaxing lighting for chilling out in the bath, so how do you achieve this? We advocate going with 3 distinct light scenes, and the key is having several light sources on different circuits to achieve this. 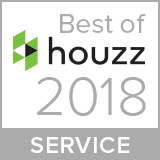 This is for your everyday bathroom tasks and cleaning. You need a good level (around 350lux) of general light and good task lighting at the mirror and sink General lighting can be from a pendent, recessed spot lights, or coffers for example. 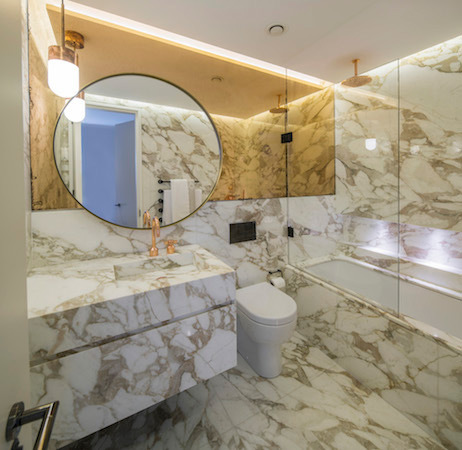 Task lighting to the sink and mirror typically from wall lights each side of the mirror – see our separate blog on mirror lighting here – having a high light level and excellent CRI (colour rendering) is important. Using warm white light helps create a flattering light, you don’t want to see a grey sickly person looking back at you everyday. This is the scene is for relaxing, you want to create that spa feel. The key here is to use accent light to highlight textures, objects and features such as niches. Have points and washes of light at low level, really helps with creating a spa atmosphere. Very soft, warm, high contrast light is essential. You also have the opportunity to introduce some colour or colour changing light. This scene is for those midnight toilet runs. In the middle of the night you don’t want to be dazzled by bright high-level lighting, so mini low-level marker lights are really useful. Even 1w LEDs can appear extremely bright in the middle of the night, so you do need to think about type and placement of light carefully. It’s also worth considering having these fittings on a PIR sensor, which switches them on automatically when you enter the room; this saves scrambling about for a light switch in the dark. Glare is another thing to consider in a bathroom. 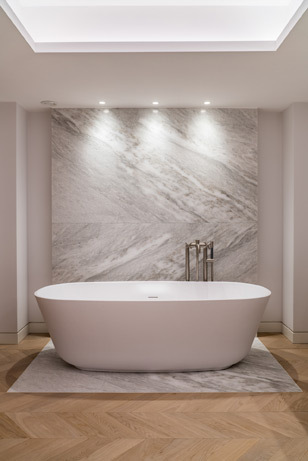 When you’re lying in the bath, you don’t want to be staring up at an intense downlight, so it’s best to avoid having fittings directly over the bath. For most of us, the bathroom where we start and finish our day. First thing in the morning you want lighting to stimulate and help wake you up. Bright and cooler blue enriched light is useful here. In the evening before bed, you want lighting to be relaxing, so warmer lower levels of light are required. 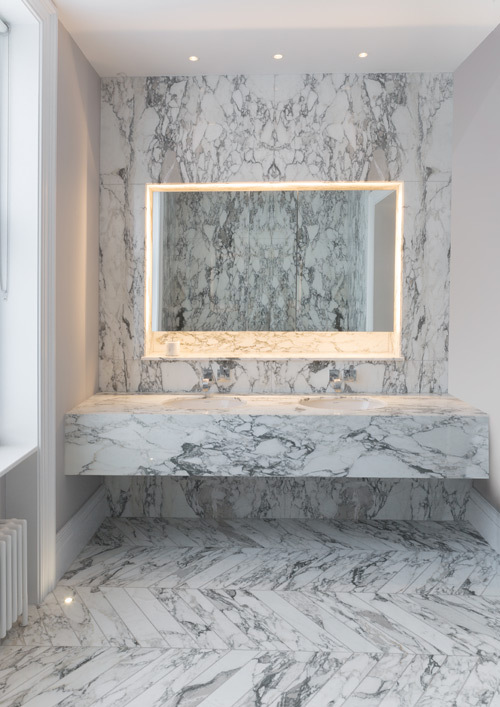 It is therefore worth considering tuneable white light in your bathroom, where the colour temperature (see our colour temperature blog here), the warmth or coolness of the light can be adjusted according to the time of day. For more information on this or any other points mentioned in the blog please do get in touch.